What do you think Hugh Laurie’s expression is saying? Click on the FACS code’s to code this expression. Post your thoughts in the comments below. 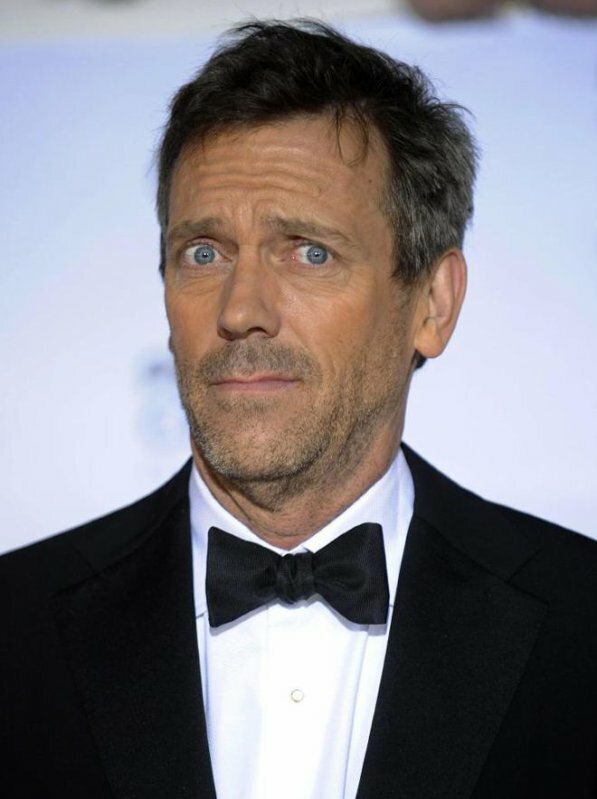 This entry was posted in What's that Expression and tagged expression of the day, Hugh Laurie. Bookmark the permalink. Are you completely off your rocker??? On the codes alone, this could look like a nervous distress covered with a slight smile. Sadness is seen in the 1 (inner eyebrow raise) and 4 (lowering of the brow) – with the 5 (raising of the upper eyelid) adding a slight fear aspect. The uneven smile (12) could indicate mild contempt or a masking smile to cover other felt emotions. I believe that anyone suggesting sadness, fear or contempt is on the money 😉 In saying this, the expression could also be posed for the camera – this is the danger of making assessments from still images – we lack the context. This could also be indicating disbelief.